Being one of the most desirable tourist destinations on the Adriatic, Istria is famous for its rich and diverse nightlife offer. Practically every city, town and settlement has its own unique scene, with numerous cocktail and beach bars, nightclubs and open air venues for concerts and cultural events. Istria truly offers something for everyone; whether you enjoy dancing to the hot Latino rhythms or you are a film lover; you won’t be disappointed by the local nightlife options. Although every town has its own night time scene, bigger cities definitely offer the best choice of nightclubs and events. Monvi Center in Rovinj is an entertainment complex hosting a number of nightclubs and bars with different kinds of music and open air concerts. Discotheque Byblos in Porec is a spacious, beautifully decorated nightclub reserved primarily for the electronic music lovers, often hosting some of the most famous DJs in the world. Lounge bar and a nightclub Saint&Sinner in Porec is an ideal place to relax with a glass of cocktail and sounds of the popular dance music. Uljanik club in Pula is the most popular urban party venue of Istria. Situated in the city center, it offers a variety of live performances and theme parties. Jimmy Woo club in Umag is the most popular venue for the wild summer parties often hosting some of the most renowned names of the world club scene. During the past few years Istria has been recognized as one of the most beloved festival locations in Croatia. Today Istria offers perhaps the richest festival scene on the Croatian coastline. There is a number of international electronic music festivals, such as Dimensions in Pula or Unknown Festival in Rovinj. 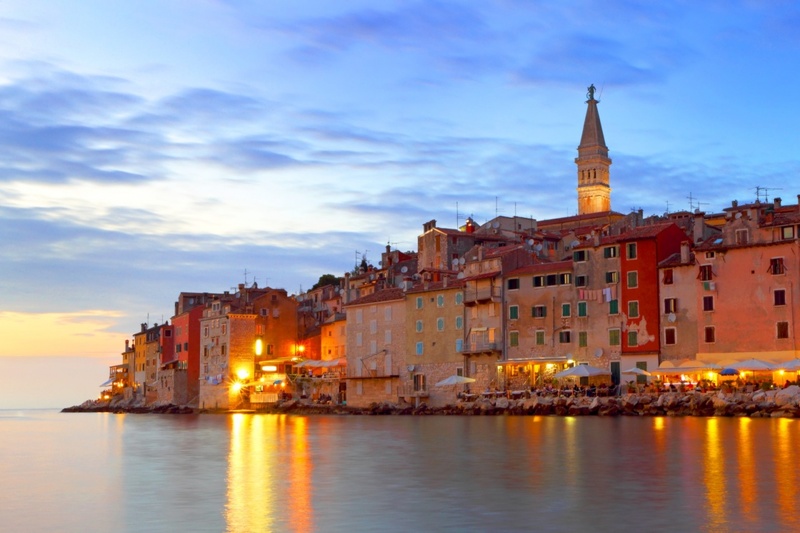 Rovinj also hosts a very popular Croatian Summer Salsa Festival and Valamar Jazz Festival. Every July reggae and ska music lovers practically invade Pula to enjoy the open-air Seasplash Festival. If you are a movie lover, Istria in the summertime is a perfect place for you. Every July, Pula hosts the most visited Croatian cultural event of the year, Pula Film Festival. Over the course of two weeks, you can enjoy cinematic delicacies from around the world. And if you think that is not enough, you can attend similar event in August. Motovun Film Festival is held in a picturesque medieval settlement in the central Istria. Designed to support independent movie productions from all over the world, this unique event is a beloved student summer destination. And if you enjoy attending sports events, Istria won’t disappoint you either. ATP Croatia Open is the international tennis tournament held yearly in Umag that attracts numerous top tennis players.